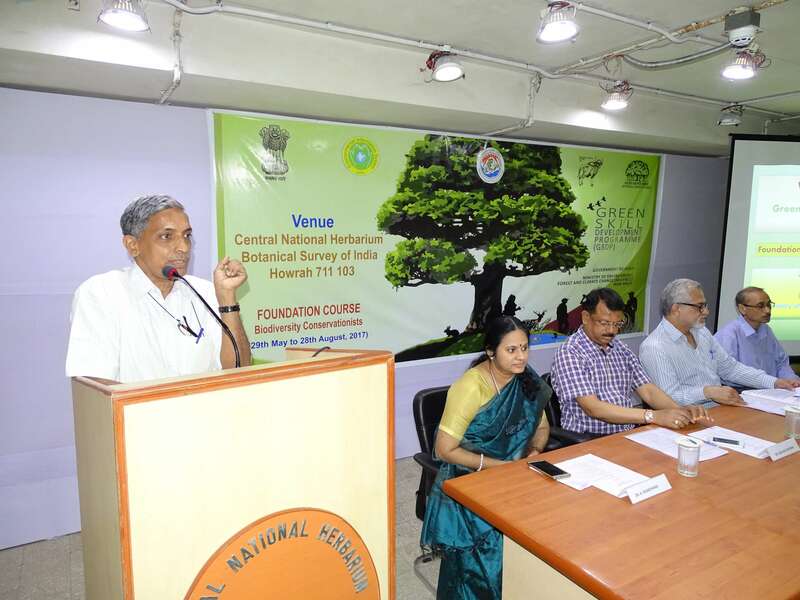 The Ministry of Environment, Forest and Climate Change, Government of India has launched a six-month skill developing pilot programme for para-taxonomists. 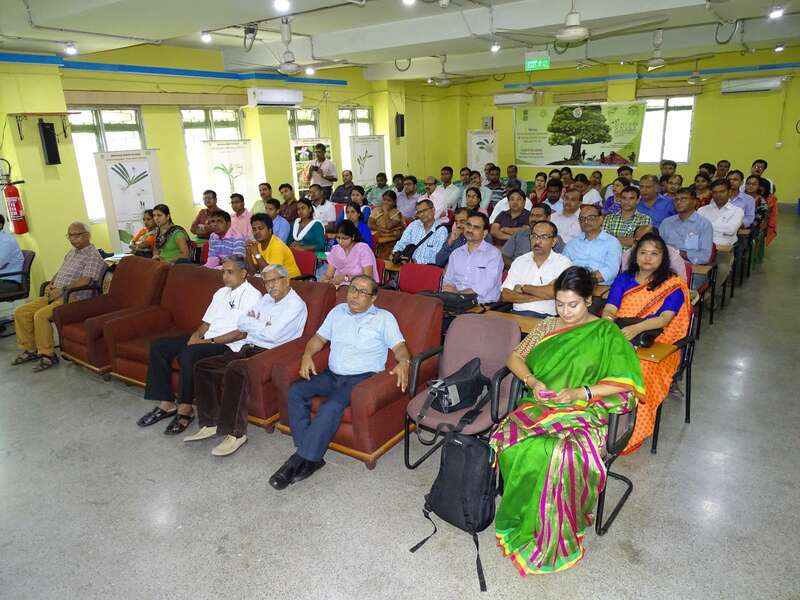 The inauguration of Green Skill Development Programme (GSDP) was held at the auditorium of Central National Herbarium (CNH), Botanical Survey of India (BSI), Howrah on 29th May 2017. 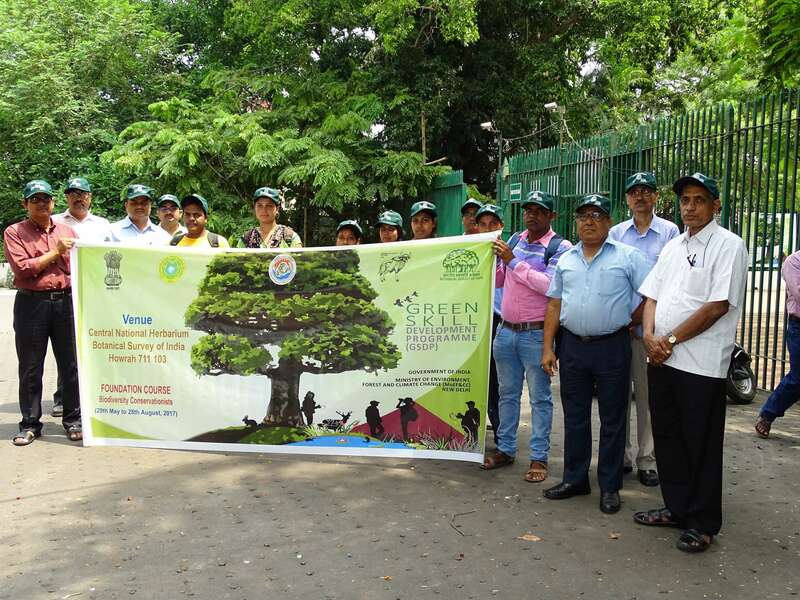 The selected trainees for the GSDP were received and welcomed at the main gate of Acharya Jagadish Chandra Bose Indian Botanic Garden at about 10:00 am and they were brought to Central National Herbarium. The inaugural session began with welcome to all the dignitaries and trainees. 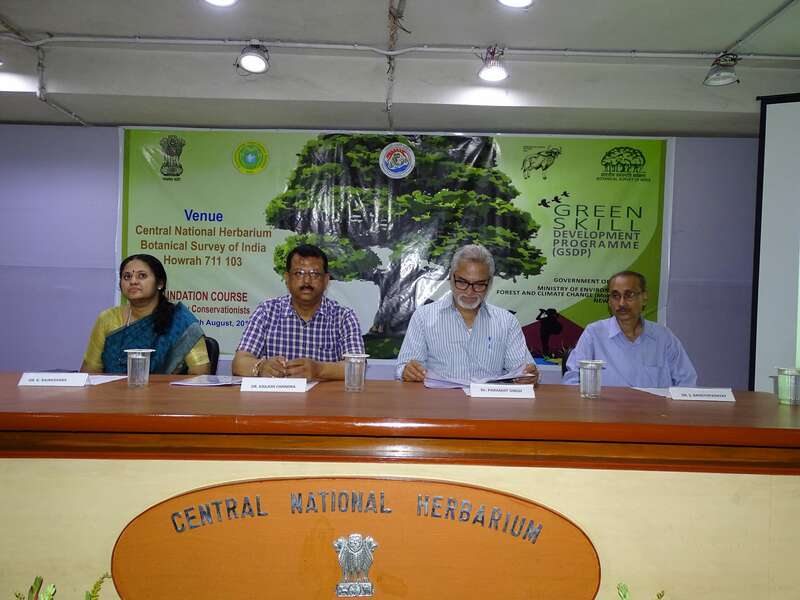 Ms. Sagari Chaudhury, Research Fellow welcomed the dignitaries, Dr. Kailash Chandra, Director, Zoological Survey of India (ZSI), Dr. Paramjit Singh, Director, BSI, Dr. K. Rajmohana, Scientist 'D' & Co-ordinator, ENVIS, ZSI and Dr. S. Bandyopadhyay, Scientist 'B', CNH, BSI on the dais. Dr. P.V. Prasanna, Scientist 'F' & HoO, CNH, BSI welcomed all the dignitaries, guests and trainees in his welcome address. The programme started on an auspicious note by watering of Tulsi plant by the dignitaries. The inaugural address was given by Dr. Kailash Chandra, followed by Dr. A. Pramanick, HoO, AJCBIBG, BSI, Dr. K. Rajmohana, Dr. S. Bandyopadhyay and finally Dr. Paramjit Singh. They provided a general idea about the training programme, consisting of three months foundation course (Biodiversity Conservationists) and three months advanced course (Parataxonomists). The basic aim of the programme is to train people who have not been able to continue education due to different financial or social constraints but has an urge to learn new things and do something fruitful. The training will provide a general knowledge about the biodiversity and ways of conservation so it can be spread to the general public through them and also create job opportunities for the trainees. It is a certified course aimed at creating green jobs, a humble contribution towards green economy of the nation. The session ended by singing of the National Anthem. The training session began in the noon. During the session three different lectureswere delivered by ZSI Trainers and one by BSI. 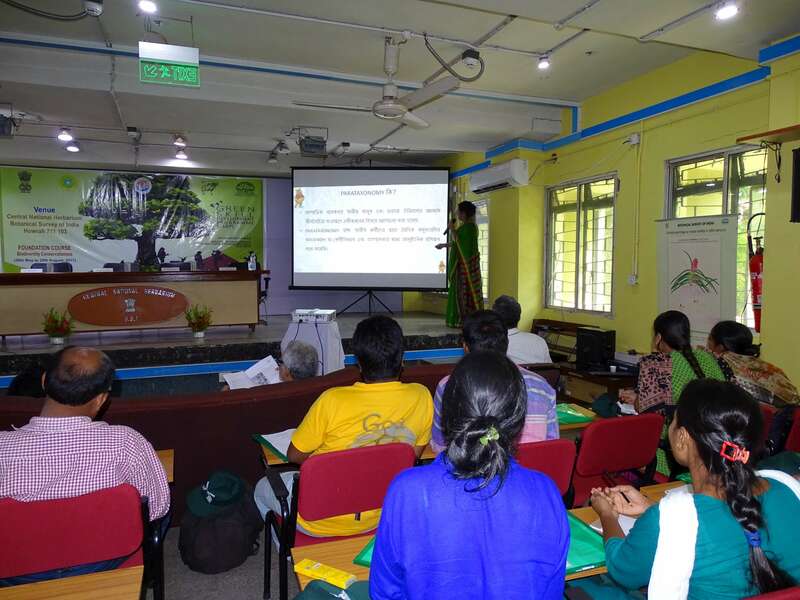 Dr. Dhriti Banerjee, Scientist D, ZSI delivered a lecture on ''Biodiversity and Classification, a story of invertebrates'', which outlined the basic concept of taxonomy. She has emphasized the importance of classification and nomenclature and the benefits of taxonomy, and also pictorially explained about different types of invertebrates and their classification. Followed by Dr. Kaushik Deuti, Scientist 'B', ZSI explained the general characteristics and different types of vertebrates, and the means of identification with the help of photographs, and also explained the diversity and classification of Indian vertebrates in his lecture; Dr. Gurupada Mondal, Scientist 'D', ZSI, delivered a lecture on ''Biodiversity profile in India – Apterygota''. 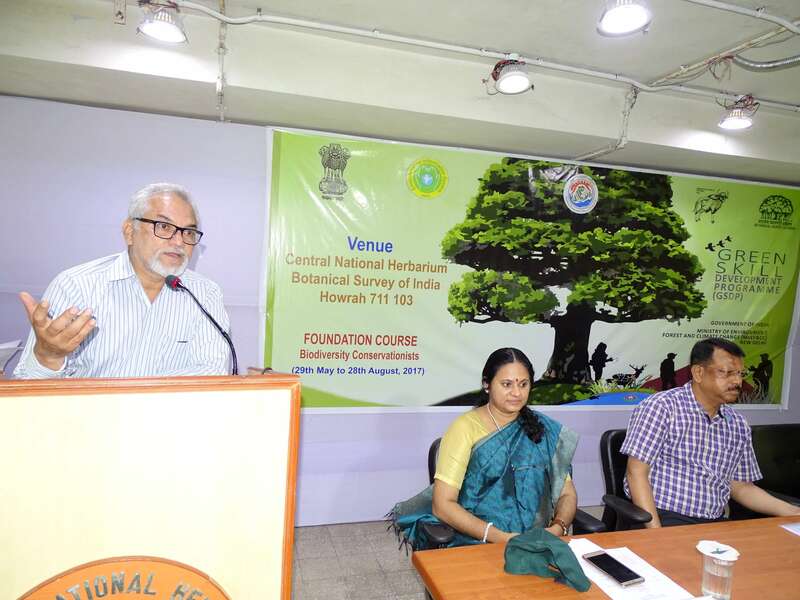 The lecture emphasised the soil biodiversity, especially the faunal diversity in soil and its importance, various types of habitats and methods of collection and preservation.